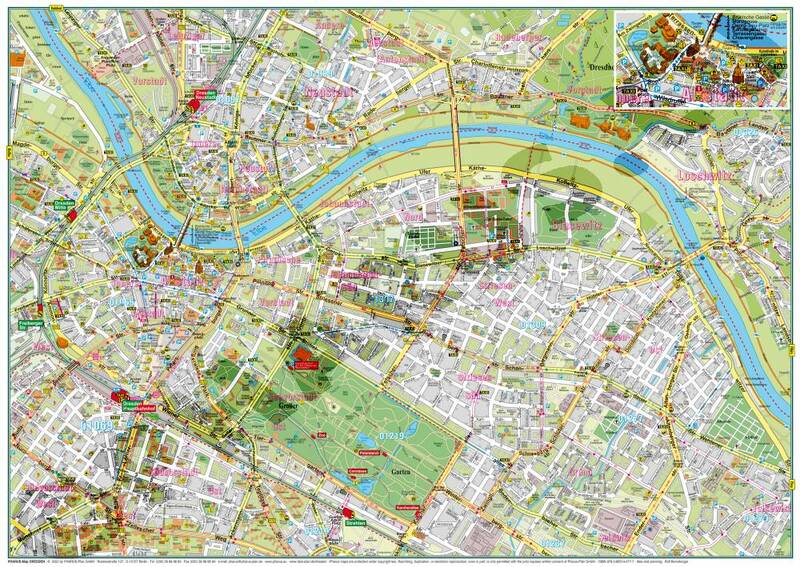 In Co-operation with FUSS e.V. 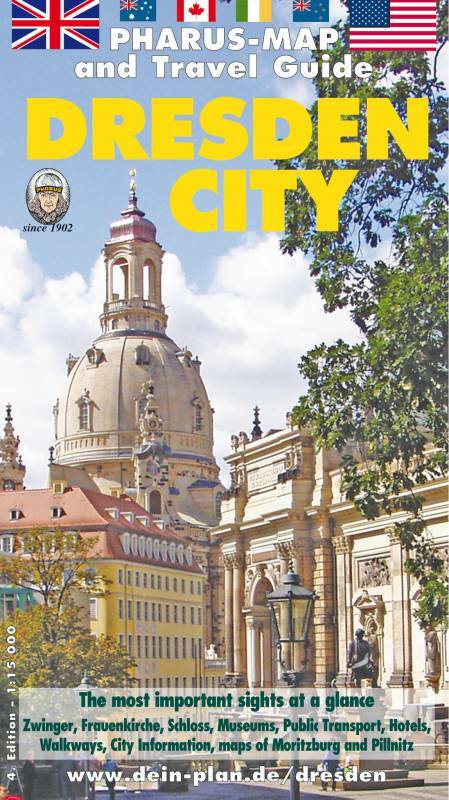 On the back: images and text on the history and sights of the city. 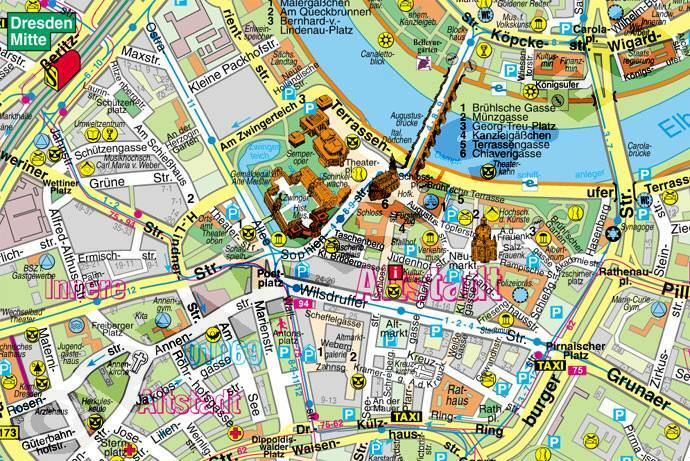 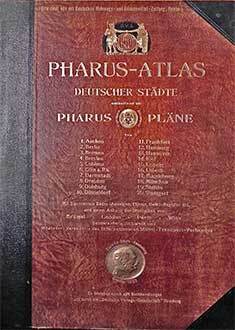 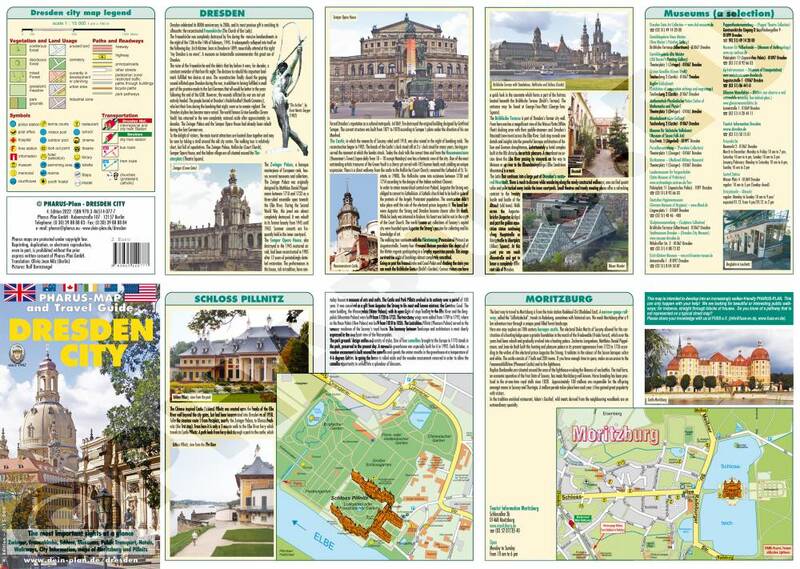 In addition maps of Moritzburg and Pillnitz and a selection of museums.